Ship from Hongkong. 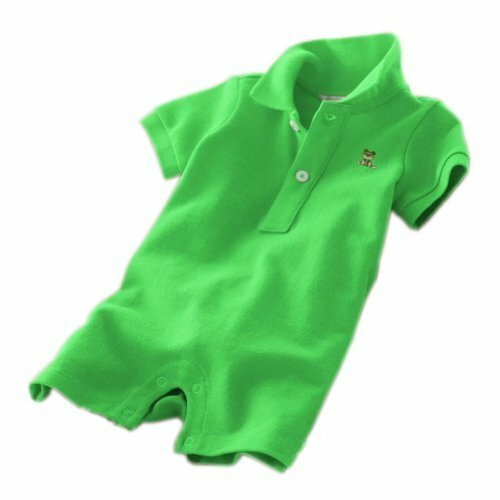 This baby polo bodysuit is made of pure cotton, comfortable and breathable. Suit for baby who is around 15-24 months in summer. Size: total length 53 cm, waistline is 54 cm, shoulder to crotch 51 cm. Please select the best fitness size for your baby by its height and waistline. And press button design on the crotch is convenient for replacing diaper.